Lonnie Wheatley, TULSA, Okla. (April 11, 2019) – The battle for the top spot in the Non-Wing Power Rankings is a tight one with Greenfield, Indiana’s C.J. Leary holding onto a slim lead over West Coast shoe Brody Roa and Justin Grant. After collecting a pair of early wins, Grant holds a five-point advantage over Roa with Grant just another two points back in third. Roa collected a USAC/CRA score at Perris on March 30 while Grant added his second win of the season at Kokomo this past weekend. Making a jump from 12th, Jason McDougal is just four more points back in fourth with Kevin Thomas, Jr., in fifth as he vies for the top position for a fourth consecutive year. The balance of the current top ten includes Tyler Courtney, Damion Gardner, Chris Windom, Jake Swanson and Robert Ballou. The Non-Wing Power Rankings will continue to take shape this weekend with a pair of USAC National events along with a USAC/CRA card, the BOSS opener and several weekly shows on the docket. 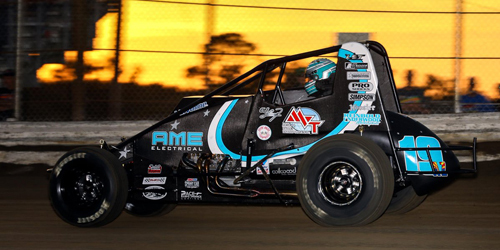 Separated into Non-Wing 410 and Non-Wing 360 Power Rankings in past years, those have been consolidated into a single Non-Wing Sprint Car Power Ranking for 2019 with all Non-Wing 410 and injected Non-Wing 360 events included in the Rankings. The Non-Wing Power Rankings are a part of the Open Wheel Power Rankings that also includes STIDA Winged 410s, Rod End Supply Winged 360s and www.midgetmadness.com Midgets. 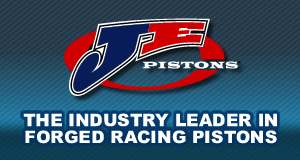 Title sponsorship for this year’s Non-Wing Sprint Car Power Rankings is available. Anyone interested in additional exposure at an extremely reasonable rate can make contact at lonniewheatley@gmail.com. 2018 – 1. Kevin Thomas, Jr. (15) 917, 2. Chris Windom (9) 863, 3. Tyler Courtney (12) 785, 4. C.J. Leary (6) 664, 5. Justin Grant (10) 655, 6. Dave Darland (4) 642, 7. Brady Bacon (5) 578, 8. Robert Ballou (5) 533, 9. Chase Stockon (2) 529, 10. Thomas Meseraull (7) 384. 2017 – 1. Kevin Thomas, Jr. (18) 928, 2. Justin Grant (9) 682, 3. Chris Windom (10) 667, 4. Tyler Courtney (7) 618, 5. Robert Ballou (4) 599, 6. C.J. Leary (8) 479, 7. Brady Short (7) 465, 8. Thomas Meseraull (6) 454, 9. Chad Boespflug (2) 437, 10. Brady Bacon (3) 436. 2016 – 1. Kevin Thomas, Jr. (13) 782, 2. Brady Bacon (3) 742, 3. Chris Windom (5) 661, 4. Thomas Meseraull (8) 658, 5. Dave Darland (2) 632, 6. Chad Boespflug (6) 555, 7. Robert Ballou (4) 503, 8. Chase Stockon (3) 497, 9. Shane Cottle (4) 451, 10. C.J. Leary (3) 446. 2015 – 1. Robert Ballou (18) 959, 2. Dave Darland (6) 895, 3. Kevin Thomas, Jr. (6) 649, 4. Chase Stockon (5) 607, 5. Brady Bacon (9) 601, 6. Jon Stanbrough (2) 577, 7. Brady Short (16) 561, 8. C.J. Leary (4) 517, 9. Thomas Meseraull (9) 466, 10. Shane Cottle (5) 419. 2014 – 1. Robert Ballou (11) 822, 2. Dave Darland (11) 750, 3. Jon Stanbrough (8) 705, 4. Bryan Clauson (9) 671, 5. Justin Grant (8) 625, 6. Brady Short (12) 605, 7. Chase Stockon (4) 532, 8. Brady Bacon (4) 477, 9. Chad Boespflug (7) 438, 10. Shane Cottle (3) 410. 2013 – 1. Dave Darland (9) 631, 2. Bryan Clauson (11) 627, 3. Brady Short (10) 531, 4. Jon Stanbrough (3) 509, 5. Chase Stockon (3) 507, 6. Kevin Thomas, Jr. (10) 496, 7. Robert Ballou (5) 474, 8. Chris Windom (6) 414, 9. Chad Boespflug (6) 390, 10. Brady Bacon (2) 389.